Lucky Lucille is hosting Sew for Victory again. I just found out about it and decided to join in. 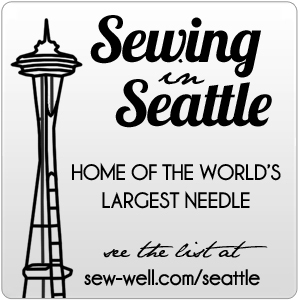 I'm really excited to participate because I happen to have a lot of vintage sewing patterns. In fact, I really love the fashion of the gay nineties, turn of the century and the 1920s to the 1950s. I loved the Canadian show, Bomb Girls. The actors were brilliant and the costume designs were amazing. I think I'll watch it again while I sew my stuff for the #sewforvictory challenge. Top Left are summer overalls and a play suit by Eva Dress. When you buy from her, you receive a a copy of the original vintage pattern on this really great thicker paper. So you have a solid pattern that you won't have to worry about tearing. Top Right is an original vintage Simplicity sewing pattern. What's interesting is that I've seen this layering on dresses appear in many different decades - teens, twenties, forties. I thought it would tend to one decade or another, but it's really interesting to see it so common. Bottom Right is another original vintage pattern by Anne Adams. This lovely thing keeps telling me "make me in wool challis". I have some in my stash that I picked up at an estate sale. So, it's only a matter of time. After I gave myself time to let each pattern roll around in the caverns of my imagination, I have settled on making the shirt dress in a lovely grey cotton with pink roses. I thought I was going to make the overalls or playsuit, but I can't picture myself in it. And I keep having visions of myself wearing the collarless version of the shirt dress with a cute pink cardigan this summer. And I love a good a-line. Flattering, simple, and really easy to wear. This is my 3rd sewing challenge I'm diving into. Anyone else playing along?